MONDAY, Nov. 21, 2016 (HealthDay News) -- Most preschoolers with mood, behavior and social disorders would benefit from non-drug therapies, but few receive this type of help, a leading group of U.S. pediatricians reports. As many as one in 10 kids younger than 5 years old experiences these kinds of mental health problems, the American Academy of Pediatrics said in a new report. Current evidence supports the use of "family-focused" therapies -- often including parent training -- as a first-line treatment for these children, the AAP reported. Yet mental health stigma, shortages of trained providers and insurance barriers limit access to evidence-based treatment, it said. "Young children's mental health needs have long been overlooked," said Dr. Mary Margaret Gleason, lead author of the report. "We don't want to leave children without treatment because these are real disorders that deserve treatment, and their suffering is real," said Gleason, an associate professor of psychiatry and behavioral sciences at Tulane University School of Medicine in New Orleans. Doctors can distinguish mental disorders from a growing child's typical emotions and behaviors by assessing signs and symptoms, family history and level of impairment, the pediatrics group explained. 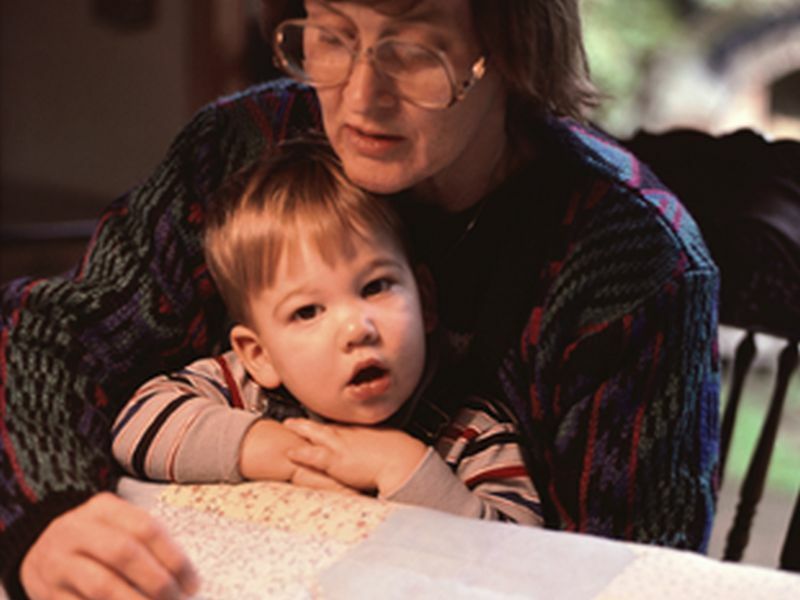 A child may have difficulty bonding with a parent or caregiver, for example, or exhibit sleep or appetite problems. Some may engage in disruptive behaviors or suffer from attention deficit hyperactivity disorder (ADHD). Others may be diagnosed with post-traumatic stress disorder. These problems also may cause significant distress for families, added Gleason. "If a 3-year-old isn't sleeping, it's not just the 3-year-old who's not sleeping," she said. Young children exposed to trauma, abuse or neglect are especially vulnerable, according to the AAP. Such early adversities affect their physical safety, school readiness and ability to interact with others, the group said. And the adverse effects can persist into adulthood. Parents, policymakers and sometimes even care providers fail to recognize that young children are affected by the things that happen around them, Gleason explained. The group's proposals for closing the treatment gap are included in a policy statement published online Nov. 21 in the journal Pediatrics. The American Academy of Child and Adolescent Psychiatry and the nonprofit advocacy group Zero to Three have endorsed the statement, the AAP said. "Any work that we can do to build resilience, that ability to bounce back, in young children is going to be with them for the rest of their lives," said Cindy Oser, director of infant-early childhood mental health strategy at Zero to Three. In 2015, AAP published a report encouraging pediatricians to screen children for behavioral and emotional problems. The new report focuses on proven treatments for young kids who have these mental health disorders. It notes that the effects of non-drug treatments can last for years, unlike the effects of medication. Pediatricians are usually the primary care providers to children with emotional and behavioral problems, and therefore have a role to play in improving their well-being, according to the AAP. The report outlines specific family-focused therapies with strong evidence of their effectiveness. Some of these treatments empower the parent to act as the vehicle for change, Gleason explained, while others involve the parent but focus on the child. However, connecting children and families with those resources remains a challenge, the AAP explained. Geetha Gopalan, an assistant professor in the University of Maryland School of Social Work, said children of poverty "are most at risk of developing emotional-behavioral disorders." But they have the "least access to effective mental health treatments," she added. That's partly due to a shortage of qualified providers, said Gopalan. The AAP calls for greater funding of programs to expand the mental health workforce and training opportunities for pediatricians. The recommendations also focus on insurance rules and reimbursement practices that impede treatment. Due to insurance rules, pediatricians often cannot get paid to care for a child with a mental health diagnosis. And many times they can't make a referral because of a shortage of trained specialists, the AAP explained. While much needs to be done, Gleason is encouraged by early signs of progress. Some pediatricians now screen children for emotional and behavioral problems as part of well-child visits, for example. There are many reasons that children have difficulty organizing their behaviors or feelings, Gleason added. "What we'd really like parents to think about is, 'How do I help my child be as healthy as possible?' in the same way that we would if they were having trouble breathing," she said.